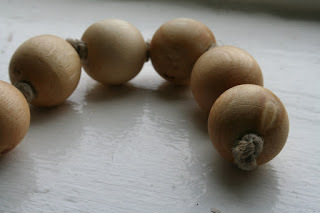 What is a perfect, natural, toy for an infant aged 2 to 3 months old? Can they even use toys at that young of an age? Let's first talk about the amazing capabilities of a infant. They are able to learn so much in a short span of time. As the days go by the more time they spend awake, the more they can examine and learn about the world around them. Your child is what Dr. Maria Montessori would call the period of the absorbent mind. 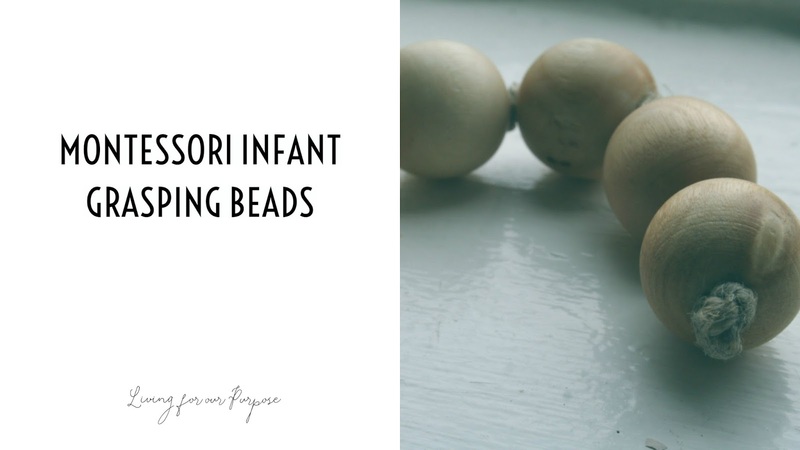 The Montessori grasping beads are usually the second toy introduced after the bell rattle. Starting at around 2 and half to 3 months old. Both are grasping toys but one is much larger than the other. The infant can use these beads to make noises like a rattle when moving and shaking. Also, at this age they will start to put things in their mouth. This toy gives your infant a chance to explore with their mouth with a safe and natural toy made of wood. This also develops the muscles in the hands and coordination skills. It is made with 6 large wooden beads and secured with a leather or hemp lace, knotted at the ends and in between each bead. This where we bought our grasping beads on Etsy from Essential Montessori. What toys does your infant like to play with?